Let's start to taking a first look at the second chapter of the anime film trilogy dedicated to the king of Kaiju Godzilla, distributed all over the world by Netflix. The news comes from the official website for the Godzilla project. The second film is titled Godzilla: Kessen Kidō Zōshoku Toshi (Godzilla: City on the Edge of Battle). The site also revealed that XAI is returning to perform the second film's theme song "The Sky Falls". By the advent of the 21st century, much of humanity was dead, having been trampled over by a new master, Godzilla. A select few among mankind took to the stars in a spacefaring vessel in search of "the promised land". But the migration plan fails, and the remnants of the human race decide to return to Earth. But the distortions in space-time and the distance traveled means that mankind is returning to a completely changed Earth some 20,000 years later. The returnees prepare to take the fight to Godzilla based on a strategy that has been 20 years in the making. But the victory is short-lived. 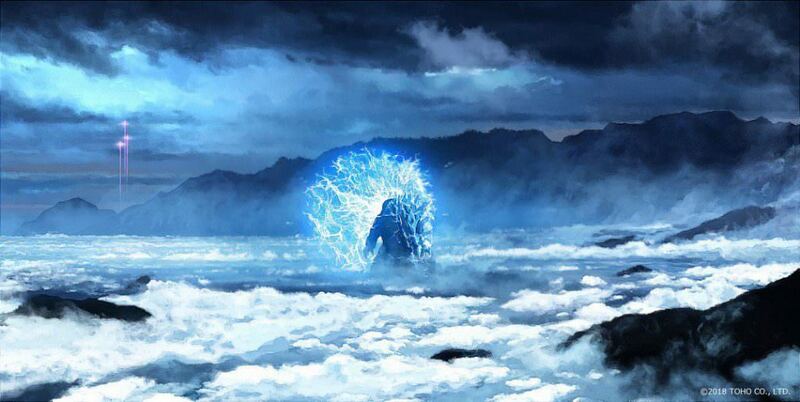 Rising from the depths of the planet is a new breed of monster, dubbed "Godzilla Earth", evolving for 20,000 years, the creature stands 300 meters high, weighs over 100,000 tons and wields such overwhelmingly destructive power. Coming to help the space-travellers are an aboriginal tribe called the Houtua. They are the first humanoid people the returnees have encountered. The tribe created a new nanometal metal and developed an "anti-Godzilla" killer weapon deployed at their decisive battle, but had been destroyed before it could be activated in the form of a "Mecha-Godzilla." 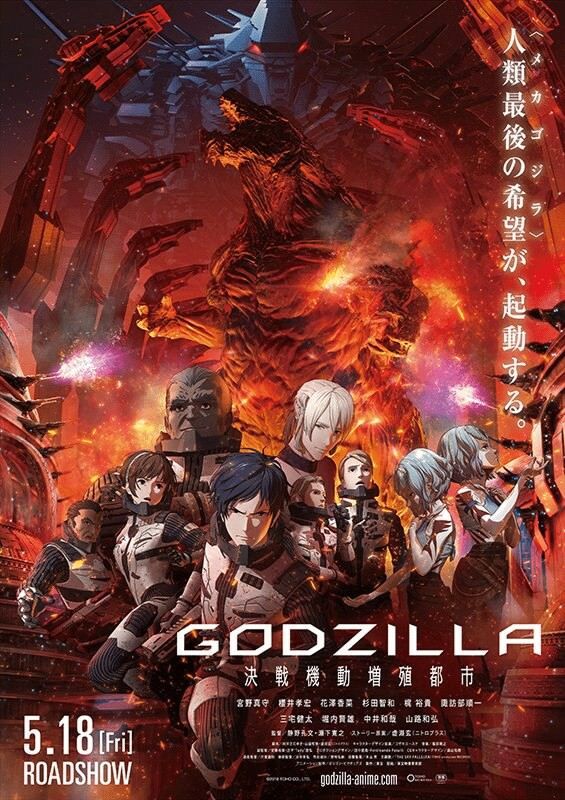 First chapter Godzilla: Planet of the Monsters (Godzilla: Kaijū Wakusei) opened in japanese cinemas in November 2017 and world wide on Netflix in January 2018. This second chapter will open on May, 18 in Japan, and will feature the most awaited "Godzilla Earth vs. Mechagodzilla" battle. A special with all the heights achieved by the various Godzillas from the beginning to today can be found on the our pages.